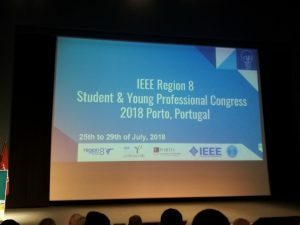 Last week I had the pleasure to attend the Region 8 Students and Young Professionals Congress in Porto, Portugal. 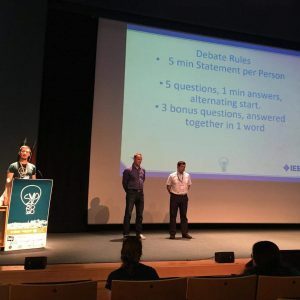 This is the biennial reference event for S&YPs across Region, and in this edition more than 300 people from Student Branches and YP Affinity Groups gathered together for 3 days of technical talks, tutorials on IEEE, and social activities. At IEEE we need to be appealing especially to younger generations. 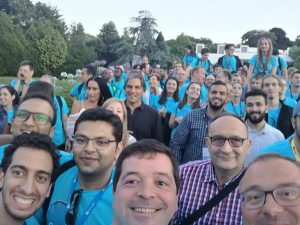 I have talked elsewhere about the decreased relevance of IEEE as perceived by newly graduated engineers, in part because of the abundance of other ways of networking with people, like social media. But the technical expertise that IEEE connection can provide, as well as the trust in the validity of the information generated by IEEE members cannot be yet replaced with these other ways. This is a view that we are perhaps failing to spread and we definitely need to correct that. During the congress I was often questioned about Young Professionals and the effectiveness of the programs we have in place for them at IEEE. It is obvious that we are in part failing to fulfill their needs as newcomers to the professional world and as professionals that need to be supported in the early stages in their career. This can of course be improved with more specific benefits for them (although IEEE has spent very significant amounts of money on YP programs in the last years with little result). But on the other hand I like to say that Young Professionals and firstly professionals and then young. This means that what they typically expect from IEEE does not differ that much from what other professionals expect: to be the reference organization in the technology world. That’s why we need to invest in becoming that reference organization in many technologies of recent development and where we have had little impact so far: 5G, machine learning, software, etc. Finally, during the last day the Congress hosted a presentation and Q&A session with the two candidates to R8 Director. If you are interested, you can have a look at my presentation.